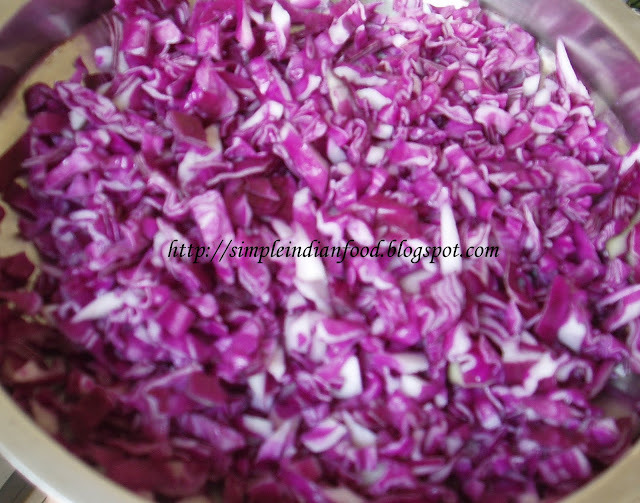 Chop the cabbage finely and cook them till soft. Heat oil, add mustard seeds, bengalgram dal and blackgram dal, red chilli. When it splutters, add curry leaves and then cooked cabbage. Add salt and mix till dry. This looks so simple and pretty- I bet it's delicous! Cabbage curry looks yum. Wish you a happy new year! Lovely curry ! Happy New year to you and your family ! Simple sabji and very colourful too. 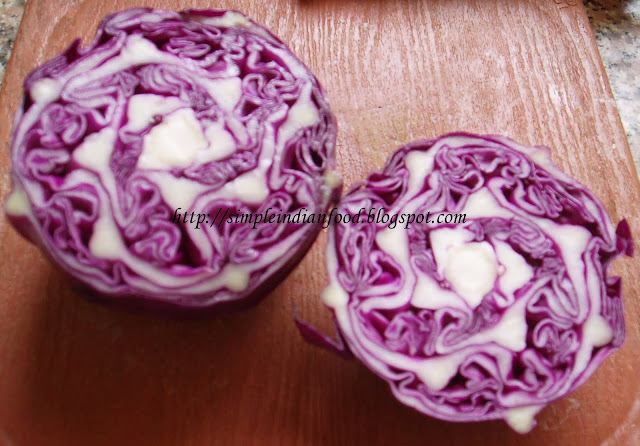 I love cabbage, looks delicious! I love this color..good recipe..
Looks very rich in color..